A little disclaimer: All of the designs featured in the 31 days post were thought up by me on one afternoon. I sat down with a pen and paper and drew out over 40 designs. As is often the case in quilting, the odds are that someone else has also had the same idea, but arrived at it or done differently. After I write the weekly posts, I sit down and search Flickr, Pinterest, and Google to see if i can find any quilts using similar designs/concepts that I have shared. I did not browse the internet and steal designs/ideas from others to pass off as my own. 1. Zig Zag design on a non- zig zag quilt. Almost exactly like my demo quilt! 3. Echoed zig zag in the negative space. 5. An argyle variation using darker thread for some quilting lines. 8. Mix up your designs! Zig Zag and straight lines together on the same quilt. 9. Another example of broken glass. 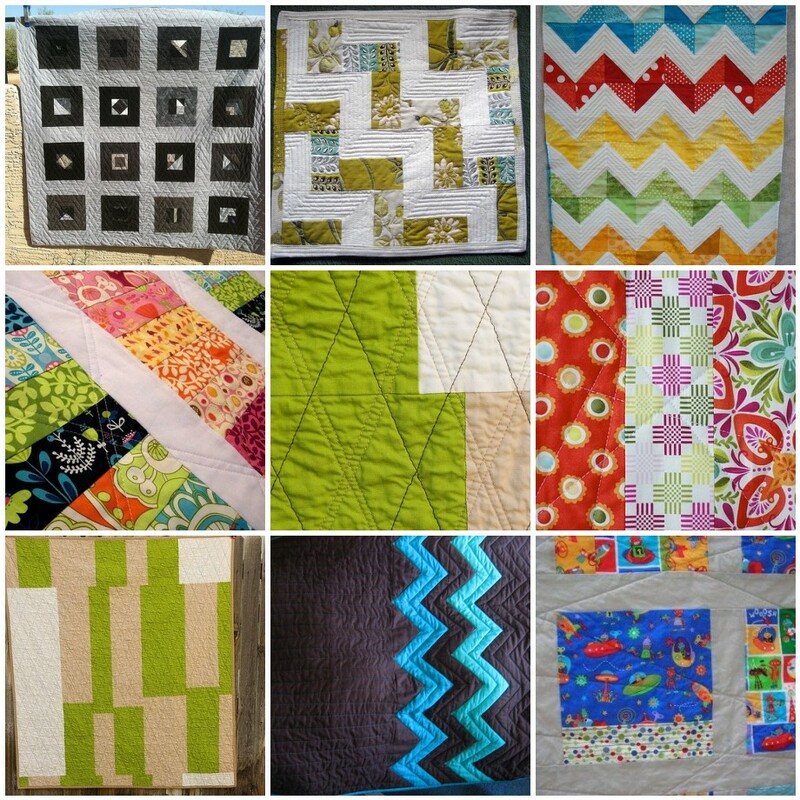 Now that you can see some examples on quilts which one is your favorite design of the week? Is there one design that at first you decided was just "eh" that you would give a second chance to now? I love the echoed zigzag. I will be trying random lines on a baby quilt, I think. the double argyle is my fav this week :) well, poo, i like them all! They are all interesting. I like the broken glass lines, but would have a difficult time getting started with them. Little anxious about making them look right on a larger quilt. But I would like to try. Maybe marking them out first would help?